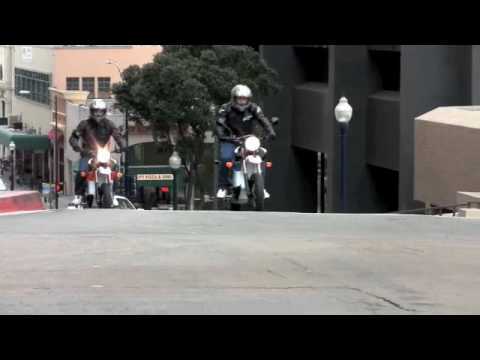 More Info & Demos: www.zeromotorcycles.com --The Zero S has instant torque and power from a standstill, plus smooth acceleration as you race out of turns—all without ever needing to stop at a gas station. 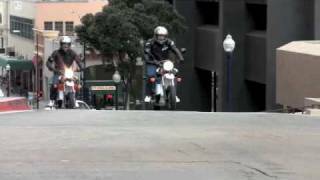 Developed to aggressively take on urban environments and encourage the occasional detour, the Zero S electric motorcycle integrates revolutionary technology with innovative motorcycle design. Built from the ground up using Zero Motorcycles' proprietary Z?Force power pack and aircraft grade alloy frame, the Zero S features an industry leading power?to?weight ratio that increases its range and maneuverability. At 270lbs, the Zero S has a range of up to 50 miles and a top speed of 67 MPH. The Zero S is designed for optimal performance off the line, in sharp turns and while navigating obstacles. Instant acceleration and lightweight design enable the Zero S to take on any city street, hill or obstacle, combining exhilaration with efficiency. The Zero S is priced at $8995 (after a 10% US federal tax credit). Some states and provinces offer additional incentives. Consumer financing is available in the United States for those who qualify. The motorcycle can be purchased online now and comes with a 2?year limited warranty.